These things are fun, and fun is good." The cool and wet start of the 50K. 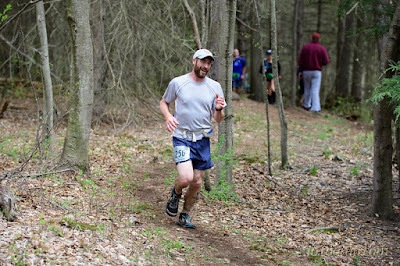 If you’ve read my previous two race reports (Naked Bavarian and NJ Ultra Festival) you may be wondering why the hell do I run ultras when it seems like I just complain and get disappointed after they’re over. Well, the reason is because sometimes you have a great day where it feels like everything goes right. And when you don't you usually get a great story to tell and you learn something. 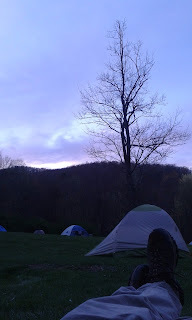 My day at the Hyner View Trail Challenge 50K was one of those days where everything clicked all day long. When you have a race day like that, it makes you appreciate all of the long hours of training you put in even more and also the subpar race days you struggled to grind through. Although those rough training runs and bad race days provide an opportunity for you to prove your grit and determination, a great race day when everything seems to just fall into place can be much more refreshing and just plain fun. Somewhere midrace, but I'm not sure where because I think I was smiling the for the entirety of it. What can I say about this race? I could make this the shortest race report ever and just say that this felt like it may have been the best ultra I’ve run thus far. I felt prepared for it. I felt well rested and healthy leading up to it. I never felt exhausted during it. I experienced no stomach issues or any other unexpected physical pain. I had zero low points from beginning to end. My running felt strong throughout the entire distance and I still had some excess energy at the finish to push at a faster pace for the last couple miles. I could wrap this report up here by saying that this race was probably my best performance at the 50K distance and definitely the one I am most proud of. However, I feel that would be doing a great disservice to the stellar event that is known as the Hyner View Trail Challenge. 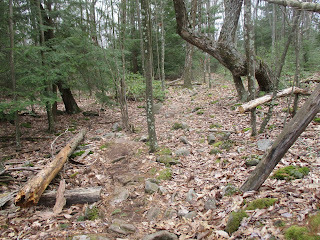 An example of some of the rocky terrain along the course. under one of the many rocks that frequent the rocky terrain of the course. 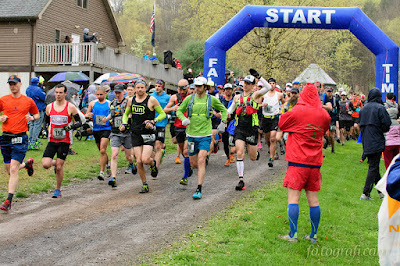 This year marked the 11th annual running of the Hyner View Trail Challenge and in those 11 years the PA Trail Dogs (the running group that organizes the race) have earned quite a reputation in the ultrarunning community for putting on an amazing event. 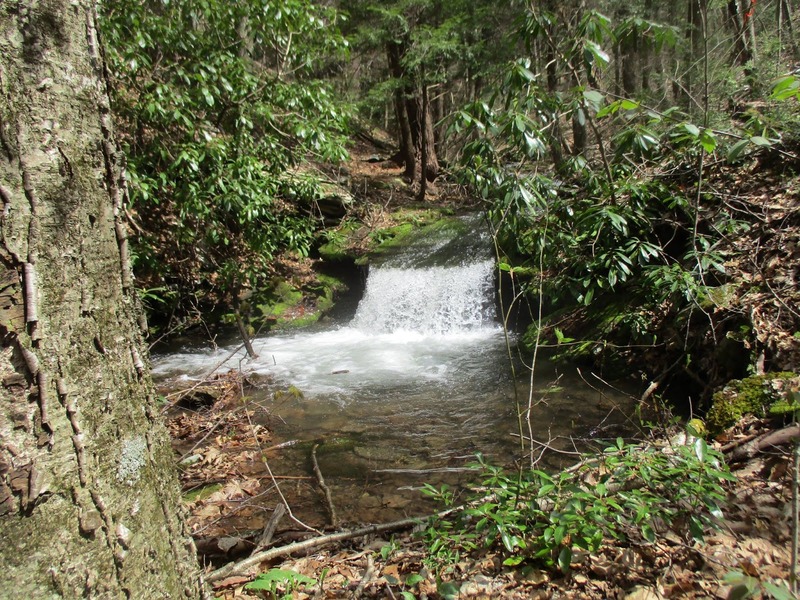 Race director Craig Fleming strongly stresses the challenging aspect of the course on the Hyner View Trail Challenge website stating that the “course was not designed for the ‘leisure’ runner or hiker. Nor was it designed so that ‘everyone’ can easily finish”. This description and the reputation of the race strongly attracted me to it. I, like most other ultrarunners I know, enjoy a bit of a challenge. Which would explain why the Hyner View Trail Challenge seems like it’s gotten so dang popular; it was sold out at 1300 runners this year and both distances (25K and 50K) have already sold out for next year. Likely adding to the popularity and the amount of exposure the Hyner View Trail Challenge has experienced in recent years is the fact that it is the first race of the PA Triple Crown Series, a rather newly formed (2016) race series which also includes Worlds End Ultramarathon 100k (June) and Eastern States 100 (August). 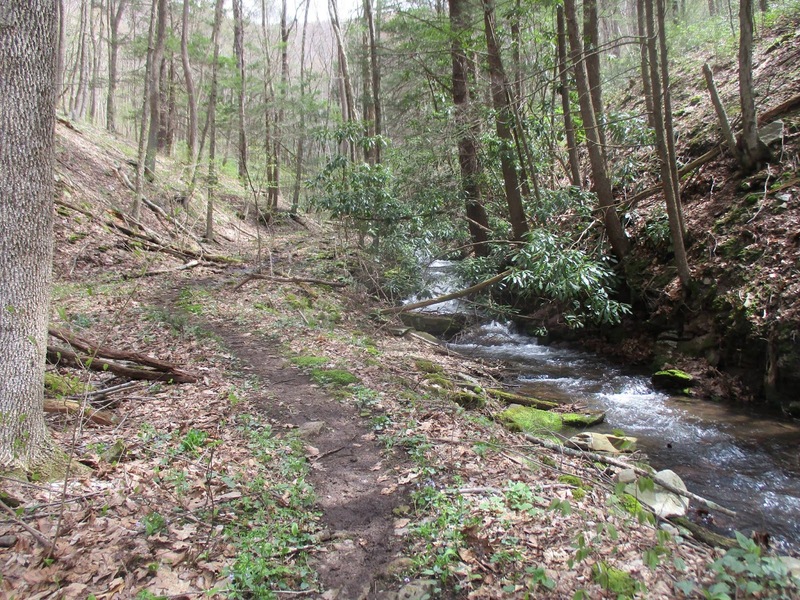 Because of all the great things I have read and heard about the Hyner and because I am attempting to complete the PA Triple Crown Series this year, I was excited to check out the Hyner course this year and take the first step towards completing the series. The view from the top of the first climb at Hyner View Overlook. The Hyner course is technical and challenging, but also offers some breathtaking vistas along the way and beautiful scenery for its entirety. If you live on the East Coast and thought you had to go “out west” to find breathtaking and scenic trail courses with challenging terrain you were right and wrong. You do have to go west, but only as far as central Pennsylvania. 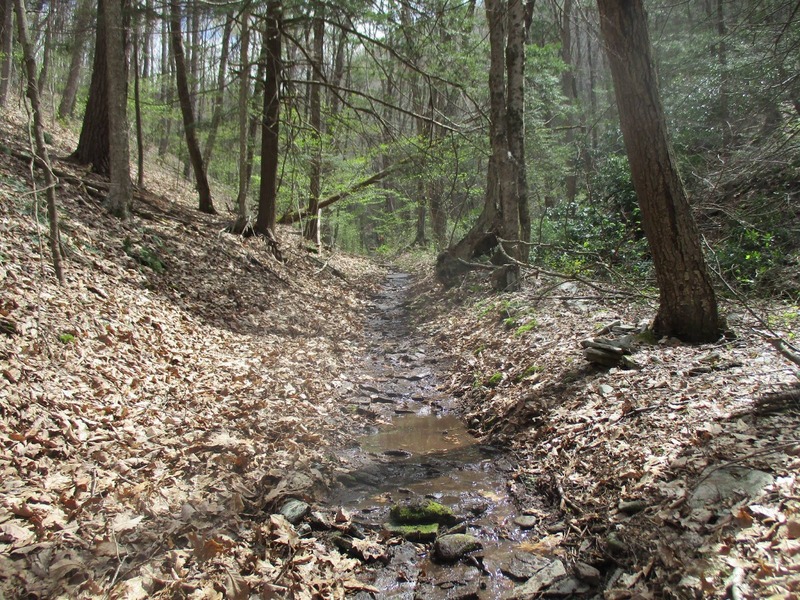 Other than at the start and the finish of the course when you follow a short stretch of road to use Hyner Bridge to cross over the Susquehanna River, the rest of the course is basically all single track trail with a few fire roads mixed in. If you like hills, the Hyner course will not disappoint. The 50K course has few flat sections and will treat you to basically five big climbs totalling 7,232 feet of elevation gain (according to my Garmin). The course brings the climbs early as well. Maybe about or a little under two miles from the start we hit the base of the first major climb, lovingly named Humble Hill. 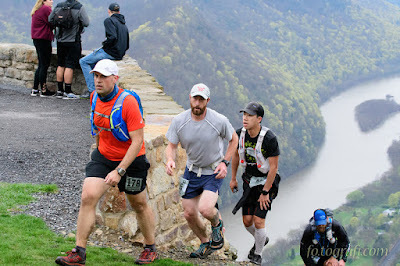 This climb is steep and lasts for over a mile before we reached the top and were treated to the beautiful view of the Susquehanna River from the peak of Hyner View. I felt good during this climb and forced myself not to push too hard, accepting my pace based on my effort level rather than aiming to maintain a specific pace. I knew that I still had a good distance to go and a lot of climbing to do after this hill and I did not want to blow up my quads before the finish. 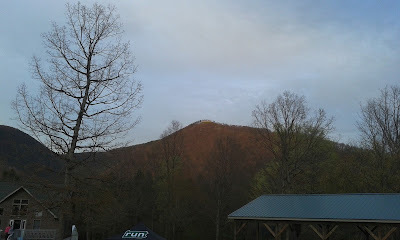 What I thought was really awesome about this first climb of the race wasn’t just the view, but the fact that the Hyner View overlook at the peak is highly accessible by road allowing spectators an easy means of access. This allowed for a big group of spectators cheering right at the peak of the first major climb. It was a welcome and motivating sound as I got near the peak to hear all of their support. It also felt like getting completely recharged from their energy after having just spent so much to make the long climb to the top. The elevation profile according to my Garmin data. 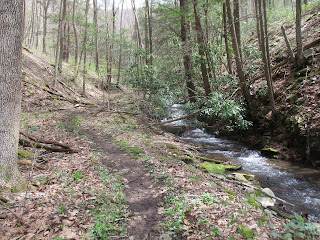 An example of where the trail follows the creek. An example of where the trail became the creek. After some switchbacks, a quick descent, and a small creek crossing the 50K course branches off from the 25K course to cover the extra miles. Shortly after the split is the next big climb. I felt stronger and more confident from the start of this one and decided to push myself a bit more. I guess I had just warmed up a bit to the climbing. Following the peak of this climb was a long downhill that I felt like I was just cruising down effortlessly. After this enjoyable descent, I got into the wet section of the course. 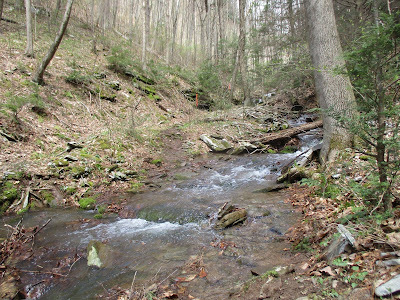 It felt like during much of this middle section (maybe from around mile 14 to 23) the course was either crossing a creek or ascending the two next major climbs directly up the creek bed. Let’s just say that my feet were wet for the middle part of the course, which made me so thankful for the terrible, wet conditions of the previous race I had run, the NJ Ultra Festival 50K. I trusted that my feet would hold up and not blister though the wet running conditions just like last time and thankfully they did hold up (thank you Altra Lone Peak 2.5s). Although a major difference between the two experiences was not only how much more positive and stronger I was feeling on this day, but also the fact that the wet trails on the Hyner course had a base of rock rather than the shoe sucking mud I experienced at the Ultra Festival. The way I powered up those two wet and technical climbs without feeling like I was emptying my tank encouraged me to try to push harder as I knew there was only one more major hill to conquer. Another aspect of the course design and race planning that I loved was the staggered timing of the starts of the 25K and 50K distances and the locations that were selected on the course for the 50K runners to branch off and rejoin the 25K course. The 50K start time was at 8 AM and the 25K runners started at 9 AM. What was great about this for the 50K runners was that with a cap of 300 runners there was very little bottlenecking near the start where we transitioned from road to trail. I can imagine and I heard from other people that this becomes an issue for the 25K runners as the cap for that distance is 1000 runners. 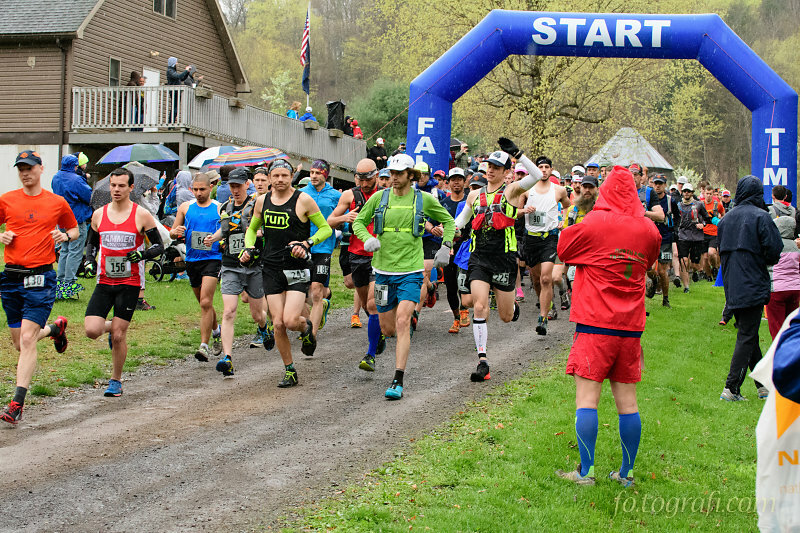 Although the 50K runners get the better end of the deal, the staggered start times improves the situation for everyone as a single start time would force all 1300 runners to become congested at the shift to the trail. The 50K course splits off from the 25K course at about the 5.5 mile mark, makes two big climbs over the course of about 15 miles, and then rejoins the 25K course at about the 21 mile mark. What I thought was great about this was that after running the better part of the the first two thirds of the course alone, suddenly the course felt really crowded. Some people may think this is negative in that a crowded course means their pace will be slowed due to congestion and they may have a valid argument. Personally, I found it super motivating, maybe even exhilarating running past groups of people who were doing the 25K. Granted I wasn’t racing them and I’m sure many of them had every intention of hiking the better part of the 25K from the start, but when you’re constantly passing people for the last quarter of a race it is such a mental boost. Then when you start realizing that you’ve already run farther than the entire distance of their race you start feeling like frickin’ Superman. Not to mention how so many of them were so supportive. It felt like I had a cheering section for the entire last third of the race. I heard more “good job!”s and “nice work!”s in the last ten miles of this race than I did for the entirety of the one and only road marathon I’ve ever run. I really do credit a good part of having a race that I was so proud of to the synergistic effect of the combination of the cheerful support of the 25K runners and the mental and physical boost that resulted from seeing runners in the distance on the trail, catching up to them, and then exchanging encouraging words to one another as I passed. This may come off as sounding a bit egotistical, but this experience reminded me of how amazing the ultrarunning community is and how awesome the people who choose to partake are. We run 30, 50, and 100 miles in a single go. I’ve said it myself and I’ve heard plenty of other people say the same words: “anyone can do this”. While I still believe this is true, the fact is that most people choose not to even make the attempt. One of many beautiful views along the course. There are two small sections towards the end of the course that I feel I would be remiss if I did not mention them. The first being the very top of the final big climb of the course which is the steepest climb I have ever seen during a race. It is lovingly named SOB. It wasn’t a long section of it, but it was as close to requiring hands in contact with the ground to assist your climbing as you can get. Let me put it this way, I took an introductory rock climbing course at Yosemite National Park and some of the “rock climbing” we did was not as steep as SOB. I’m not exaggerating when I tell you that I saw one man basically clinging to SOB, full body in contact with the steepest section of the climb, as he was coaxed by several others to push on to the top. The second of the two sections I felt I had to mention was a small but steep and unexpected climb just before seeing the finish line. After cresting SOB, making the descent down the trail, and getting back on pavement to cross the Susquehanna River I was fully expecting to see the finish line right where the start line had been: on the road entering the Western Clinton Sportmen's Association area. However, that was not the case. The course has you make a quick left off the entrance road back onto a trail. At this point you can hear the cheers at the finish line. Shortly after hitting the trail, there is a short but steep climb that I can only describe as feeling like a kick in the teeth. Then you round a quick corner and the finish line is in sight. It felt like getting sucker punched. My mental state was so positive and my running felt so strong all day that to have to dig deep just to manage a trot across the finish line completely winded was not what I expected. Nonetheless, I was still proud of my run and what a great after party they provided! 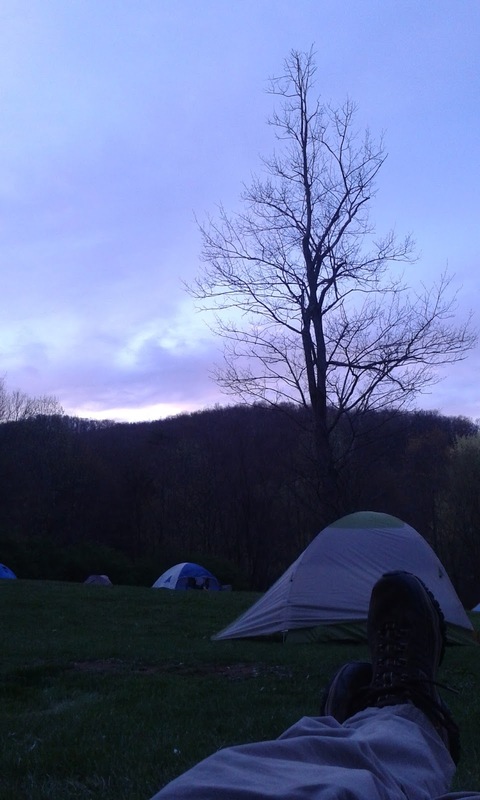 A view of the Hyner View Overlook from the camping area. special. One of those was the camping right at the start/finish area. A huge thank you to the Western Clinton Sportmen's Association for allowing this event to use their land as a camping and staging area. Another was the food at the finish. A local company was grilling chicken and serving it with potato salad and slaw for everyone there. In addition, a local brewery was providing several of their brews to everyone of age. I can attest that the IPA I tried was delicious and refreshing. The ample supply of porta potties was so great that I never saw a line. Even more amazing than the number of porta potties was the quality of the TP. I’ve pooped in my share of porta potties. I’ve also wiped with a lot of different kinds of vegetation in various stages of decay in my day. In some cases I would prefer the vegetation over the excuse for TP that you usually find in porta potties. That was not the case here. The TP in the porta potties at the Hyner was top notch. By all means, it was better than any vegetation that I have ever used to wipe with. But in all seriousness, the one thing that stood out to me more than anything else at the finish area was the number of families that I saw together there. I saw plenty of couples with young kids. I saw families celebrating mom or dad’s finish and husbands and wives awaiting their significant other’s finish. It made me wish that my family had been there to share that experience with me. It also reaffirmed my belief that ultrarunning certainly can be a family affair. And that a future filled with traveling, ultrarunning, and camping with the family seems pretty bright and completely possible.